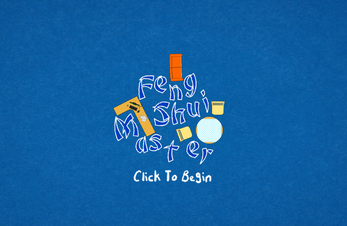 You are a Feng Shui Master. 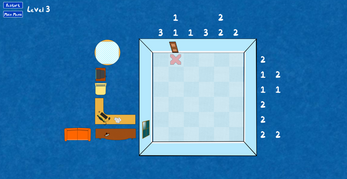 You must fit all the items in the room, but only you can get them in the perfect positions. Drag furniture to move it. Click on furniture to rotate it. Click on empty spaces in the room to toggle notes for yourself. Use the clues you're given to place the furniture in the correct place. 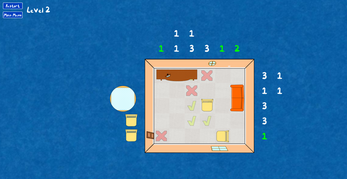 Numbers in a column or row indicate groups of connected tiles that contain furniture. Two or more numbers in a row/column mean there are more than one group of connected tiles with at least one space of gap in between. 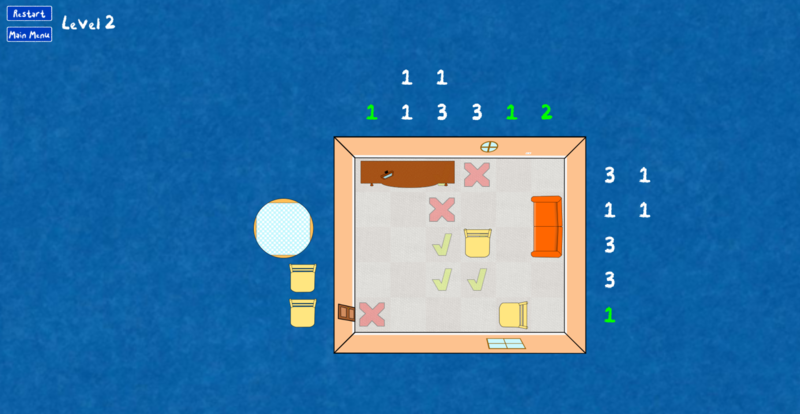 Make good use of the notes feature (click on empty tiles) to plan out your room before you start moving furniture in!